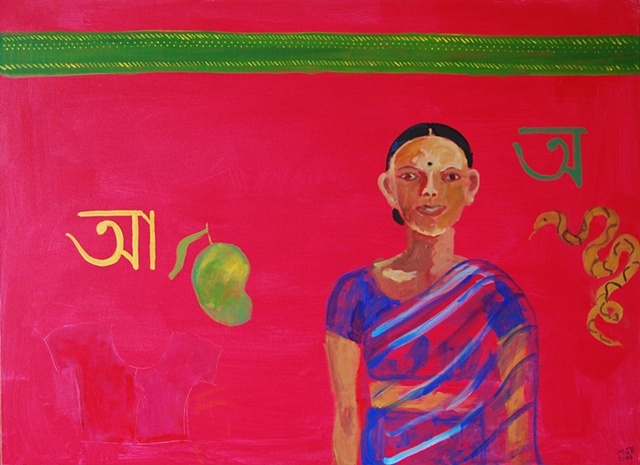 The Mother Tongue paintings explore my relationship with the Bangla (Bengali) language, as well as political issues in connection with the language. 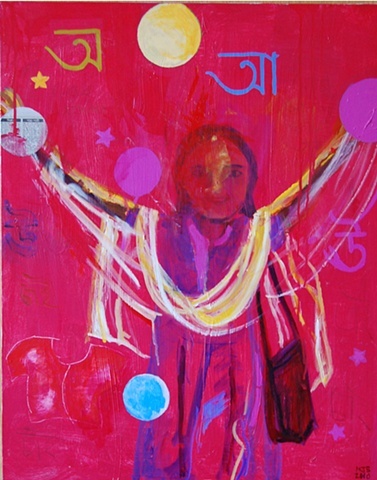 Though I have spent most of my life outside Bangladesh, my parents taught me to love our language. 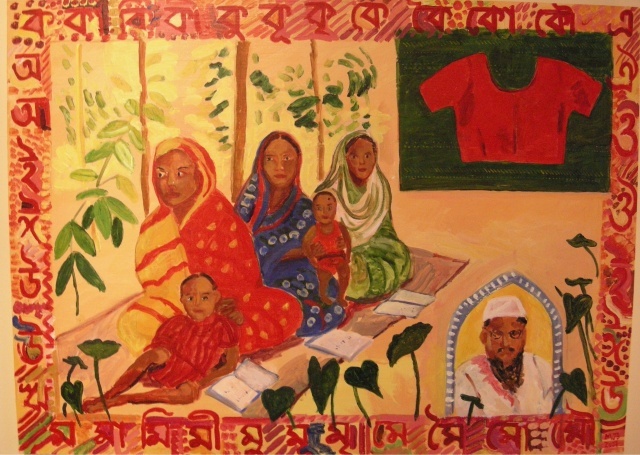 I have continued to teach Bangla to my children, and struggle daily to maintain my mother tongue in my children. My parents fought to make Bangla an official language in East Pakistan, which later became the independent nation of Bangladesh in large part over the issue of language. 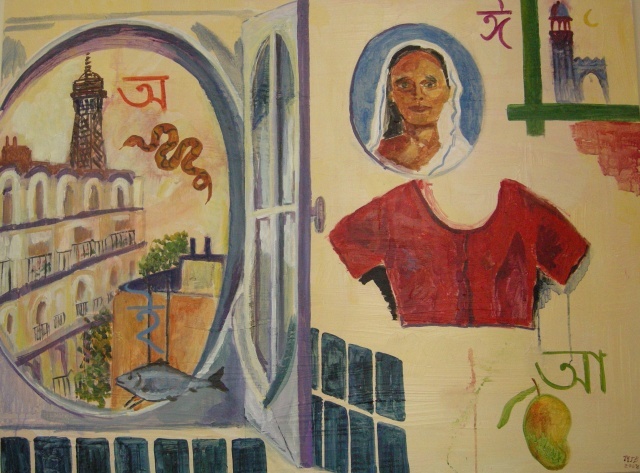 The Mother Tongue paintings include writing in the Bangla alphabet. 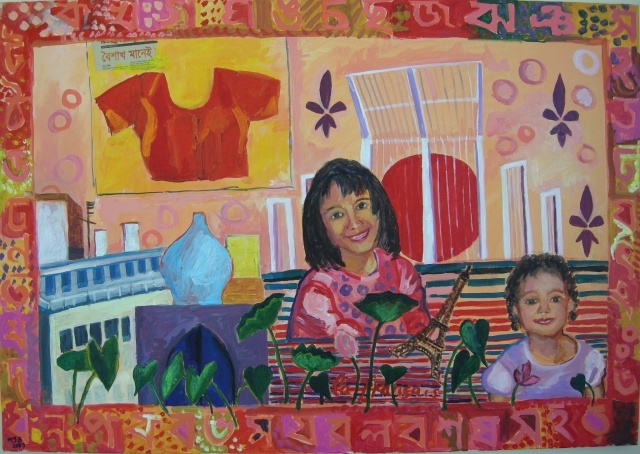 My daughters and other family members appear in some of the paintings. 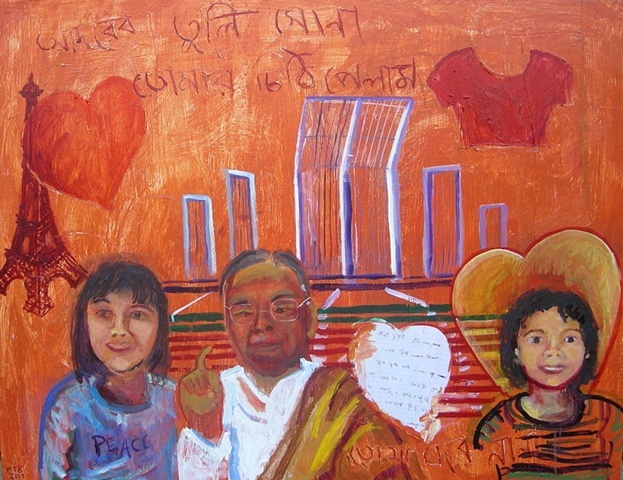 Some of the paintings also contain a monument called the Shoheed Minar, built in memory of Bengali students killed on February 21, 1952 when they demanded that the state language be Bangla. 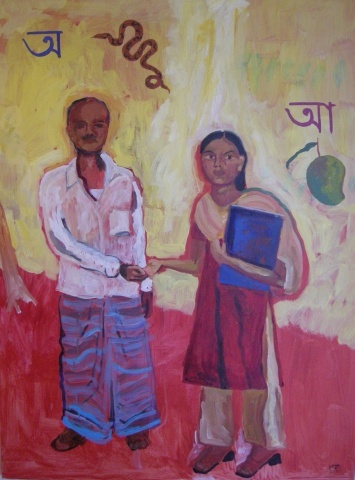 Many of the paintings depict girls and women going to school and learning Bangla. 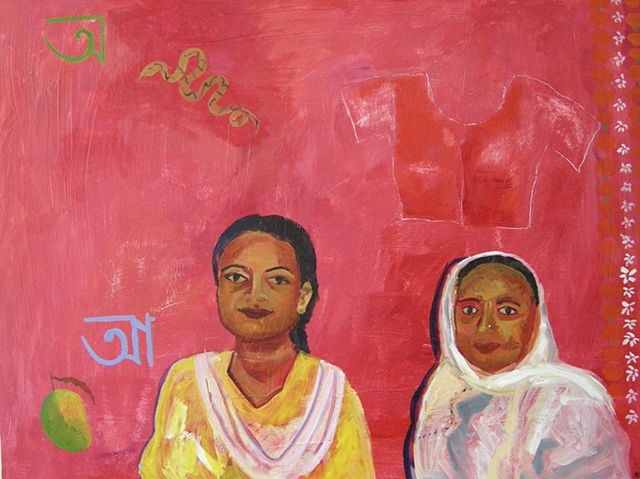 Through Samhati, a non-profit founded by my mother, I have been engaged with several small projects in Bangladesh that empower women and girls through literacy.